If you're 19 or older, after a CBT, theory test and two-part practical test you can gain an A2 licence, which allows you to ride a bike of up to 35kW (roughly 47bhp) without displaying L-plates. And you can even take a passenger! As a new rider, what are the best A2 motorcycles? There are many bikes built specifically to hit that power limit. Often affordable, due to being built in the Far East, A2-legal machines are also light, agile and bags of fun, delivering performance that makes them more than capable of matching motorway speeds if required. They also make very economical second bikes for those with a full licence looking for a weekday workhorse. Here are our top 10 bikes that are A2-compliant straight from the crate. This feature is taken from the new Just Ride magazine, which is published by the experts at MCN and aimed a those who are looking to get into motorcycling. 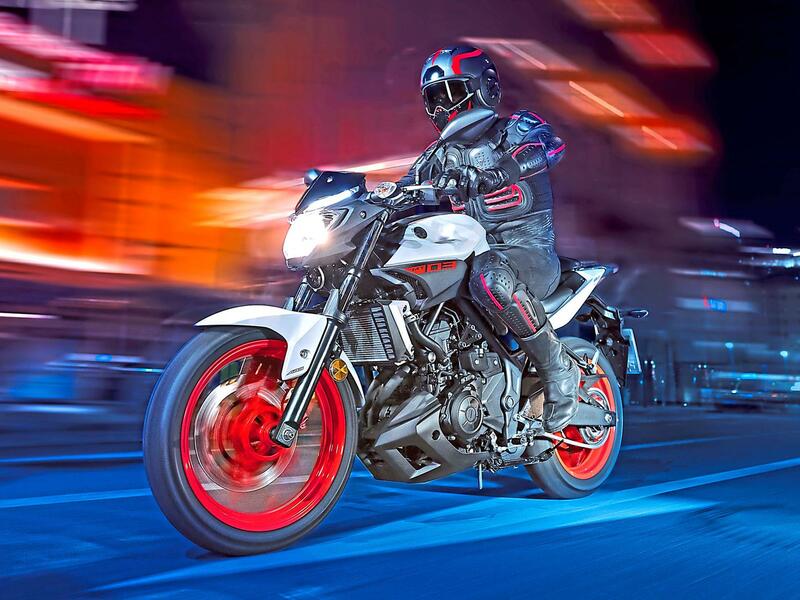 An excellent introduction to the world of sportsbikes, with a big bike feel and enough power from its purpose-built, easy to use twin-cylinder engine to keep even experienced riders entertained. The sportiest of the three Honda 500 models was introduced in 2013 alongside the naked CB500F and adventure-styled CB500X, it was updated with an aggressive new look for 2016, with LED lighting, larger fuel tank, adjustable forks and new exhaust, and has been updated again for 2019. All are great bikes. A solid all-rounder with a big bike feel and decent handling. Buying advice: Corrosion due to poor quality fasteners is common but there are very few mechanical issues. Check the bearings well as they did skimp on grease in the factory, and be vigilant for crash damage. The Indian-built G310R is specifically aimed to tempt new riders into the BMW family, and it does a good job. At its heart is a 313cc, single-cylinder, 4v liquid-cooled engine with double overhead camshafts and fuel injection, plus there’s inverted forks, ABS and four-piston brake calipers. The result is attractive, light, easy to manage at low speed and it even has a sporty side when you push it hard. And if you want an adventure version, there’s now the G310GS, too. 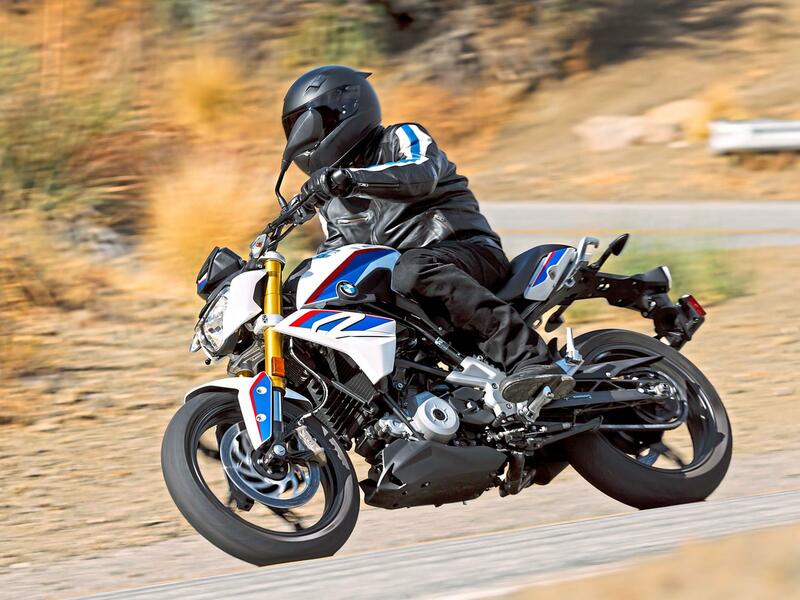 Buying advice: BMW have kept costs down by designing and engineering the G310R at their HQ in Munich but building it in India, and on the whole, quality is good. Clutch and gearbox can be a little tricky at low speed, though. The Sixty2 is Ducati’s A2-compliant version of its hugely successful Scrambler retro roadster range. It’s basically the popular 800cc air-cooled Scrambler in 400cc form with a few budget-oriented changes such as narrower tyres, conventional forks and slightly more basic spec and cosmetic details. But despite the smaller, 41bhp engine (down from 75bhp) and more basic chassis, it still rides, looks and feels like a premium product with plenty of style and class. Buying advice: Cost reductions are evidenced by the traditional Showa 41mm forks in place of the bigger inverted units on the 803cc Scrambler, but it’s otherwise very close in terms of class and feel to the existing range. First introduced in 2013 alongside the CBR500R sportster and CB500F roadster, the X is the ‘adventure’ take on Honda’s A2-specific 500cc twin and as such is a great option for taller riders or those wanting that globetrotting style. The engine and chassis are easy yet useful, it’s well built, practical and stylish and for 2019 becomes even more of an adventurer with a larger, 19in front wheel and longer-travel suspension – although the earlier version is good, too. Buying advice: As with the CBR500R there’s little to fear: the X is well-built, durable and reliable although you should inspect closely for corrosion and damage on older versions. Later custom addition to Honda’s A2 500cc twin family, the Rebel may not have the looks or authenticity of American custom V-twins but is a great introduction to biking. The retuned twin is gruntier and easier than ever, the new frame gives a ridiculously low seat height for shorter riders, and the quality and all-round ability are second to none. And if you’re not completely sold on the looks, you’ll be happy to learn there are plenty of cosmetic accessories available, too. 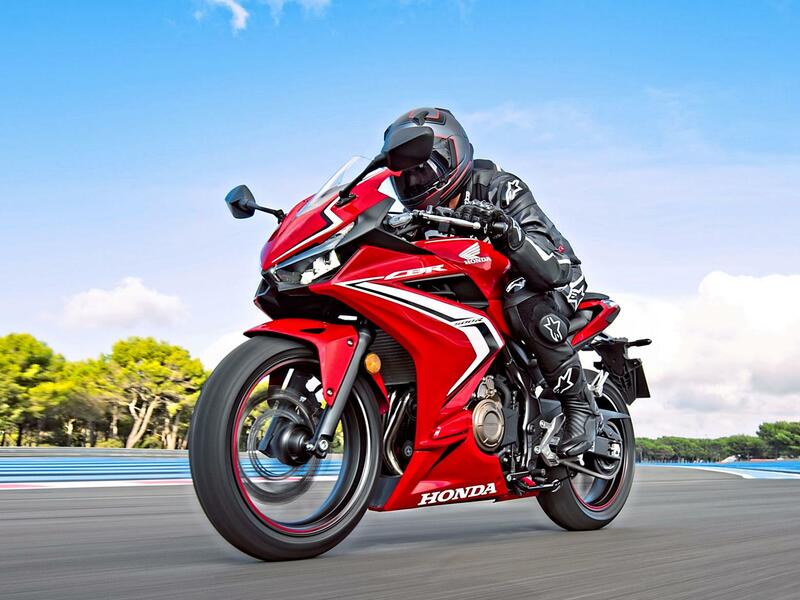 Buying advice: Honda’s parallel twin motor is proven and understressed and build quality is good. As long as it’s been looked after you should have nothing to fear here. 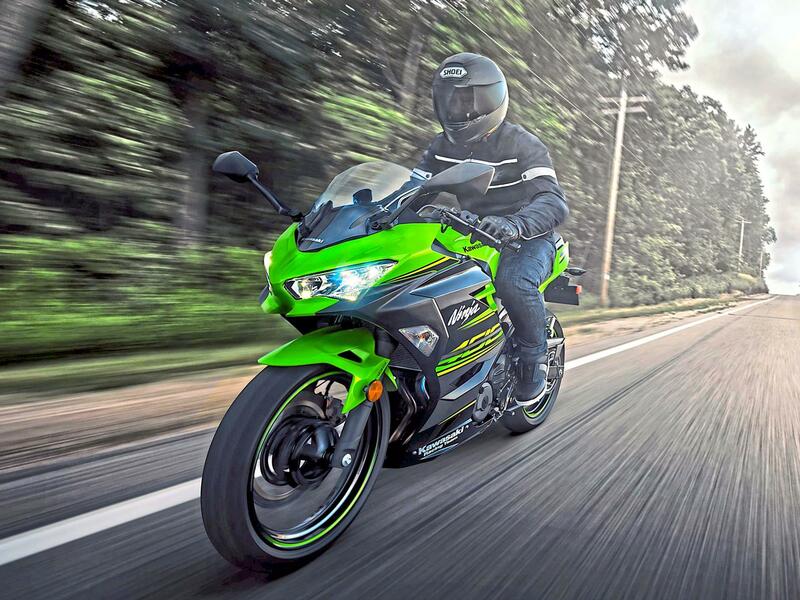 Replacing the already excellent Ninja 300 in 2018, Kawasaki’s racy 400 is a genuine sportsbike in every respect; it has character, great handling and a superb parallel twin-cylinder engine. It’s also light and comfortable enough to be a useable all-rounder. It may be A2-friendly, but that shouldn’t stop someone with a full licence giving serious consideration to a test ride. It’s fairly new so used examples aren’t cheap, but the older 300 version is worth consideration, too. Buying advice: Kawasaki’s reliability is practically beyond question these days, and if looked after the Ninja 400 should be pretty much bombproof. Fit and finish is in line with far more expensive models and the overall feel is of a quality item. This is one bike for A2 licence holders to get excited about. Inspired by KTM’s Moto3 machine, you could say the RC390 is the modern day RD350LC. With its punchy single-cylinder engine, steel trellis frame, alloy swingarm and fat, sticky tyres, it has easy ton-up performance, lets you rail through corners like Can Oncu and is built with lots of racy touches. On the downside, it’s much smaller and lighter than, say, Honda’s CBR, so lacks that 'big bike' feel. In such a competitive category, there isn’t much that makes the Suzuki GSX250R stand out, aside from its MotoGP-inspired paint and budget price. But you get what you pay for and there are far better A2-legal race rep options out there. Poor build quality and a sluggish parallel motor combine to make this less than appealing to most A2-licence holders. That said, it is very frugal and pre-registered bikes can be found with one mile on them for under £2999. Buying advice: The OE IRC tyres are truly terrible, making the Suzuki’s handling vague and unpredictable. Always perform an HPI check as finance packages on the GSX were used to stimulate sales. Taking the parallel twin YZF-R3 as a base, in 2016 Yamaha stripped its fairing off, added funky styling and created the MT-03. While not as popular as the MT-07, the MT-03 is a decent enough city bike with a peppy parallel twin motor that gives you more than enough fun, and if you want some bendy weekend scratching the handling is superb, too. The seat height is a workably middling 780mm, which should suit a broad range of riders, while ABS will give a useful safety net. Buying advice: There aren’t that many major faults, so buy on finish and consumables. Avoid any bikes where corrosion has taken hold and inspect items such as the tyres, chain and sprockets and brake pads for wear. First introduced in 2015, the stylish, twin-cylinder Yamaha R3 sits between the KTM RC390 single and Kawasaki Ninja 400 twin in terms of A2 sportster performance. It’s not quite as slick and fast as the latest Kawasaki but on the flipside it is more of a substantial and practical machine than the KTM. Updated for 2019 with new styling, suspension and dash, it looks really good, too. One drawback, however, is the latest version isn’t exactly what you would call cheap. Buying advice: The ‘made in Indonesia’ sticker may concern some, but the finish is generally good. Look out for corrosion and any signs of abuse or crash damage, though.